These rustic cards will bring smiles to the faces of all who receive them! The front of the card features a wreath of pine, complete with pinecones, with a reindeer at the bottom. 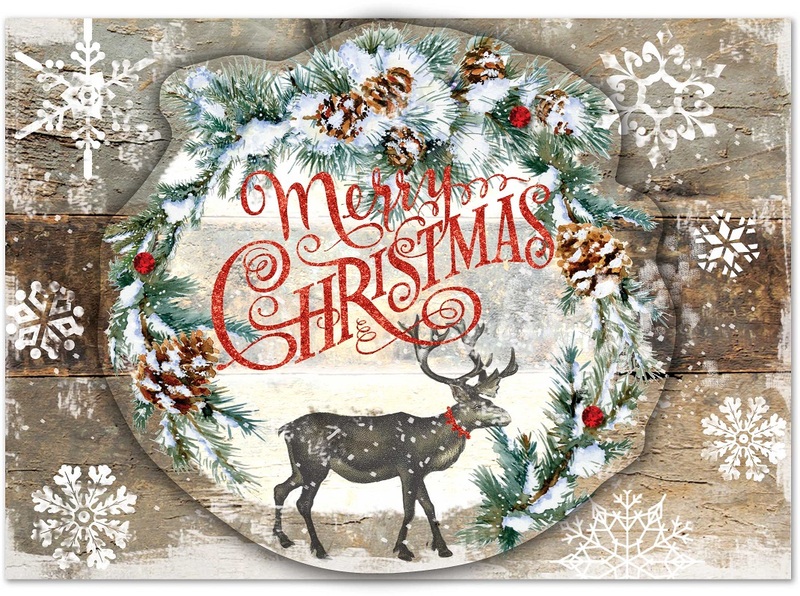 "Merry Christmas" is written upon it, and snowflakes grace the wood-grain pattern of the backdrop. Gems and red glitter make the cards truly memorable! Inside is the message "Warmest Holiday Wishes".